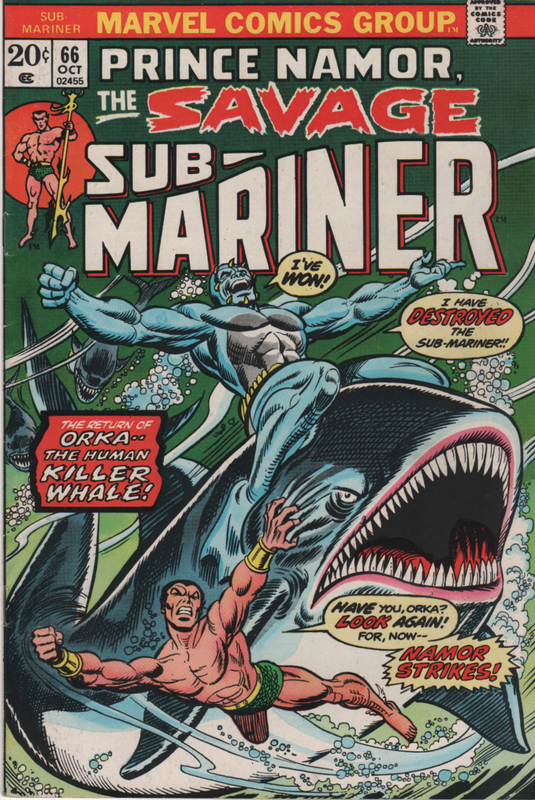 Sub-Mariner | Magazines and Monsters! 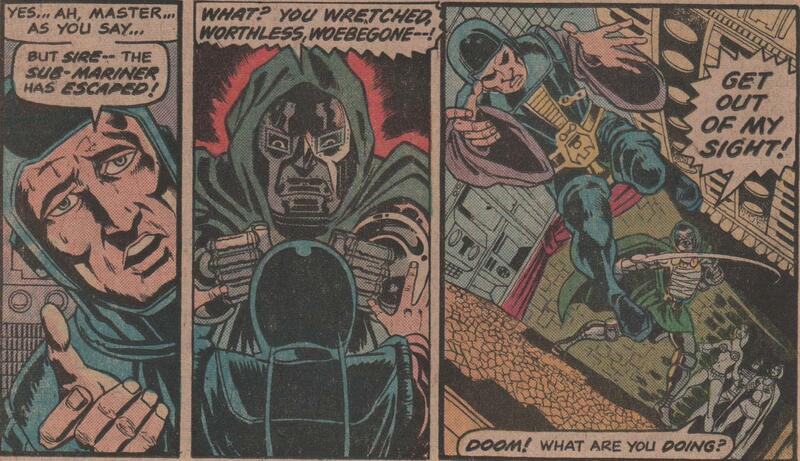 In my first ever purchase of this title, I’ve found that not only do I love it because of its hilarious action, but also that it has Dr. Doom, and who doesn’t love Doom? I mean, he’s the quintessential villain in the Marvel Universe. 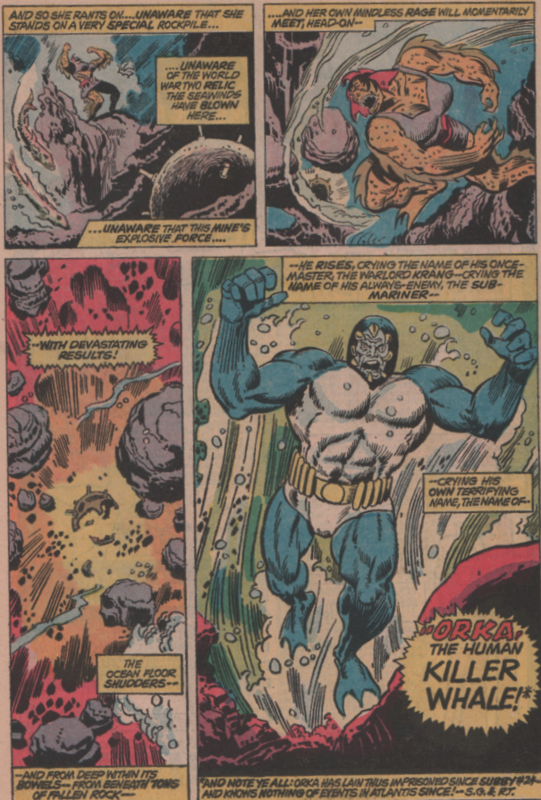 Everyone must face him at one time or another, even Squirrel Girl and Power Man had bouts with him! 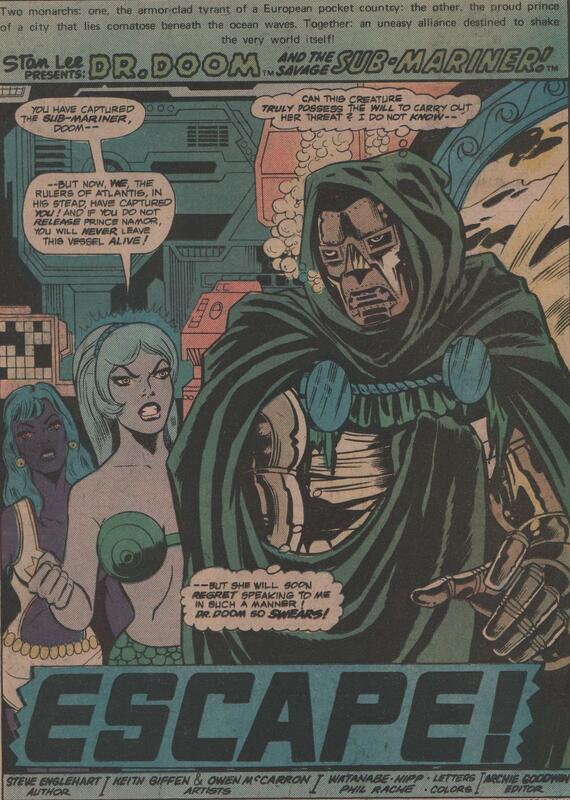 Doom also had another run in a certain anthology style book from Marvel in the 1970’s, and I’ll get to that in a couple of posts or so. 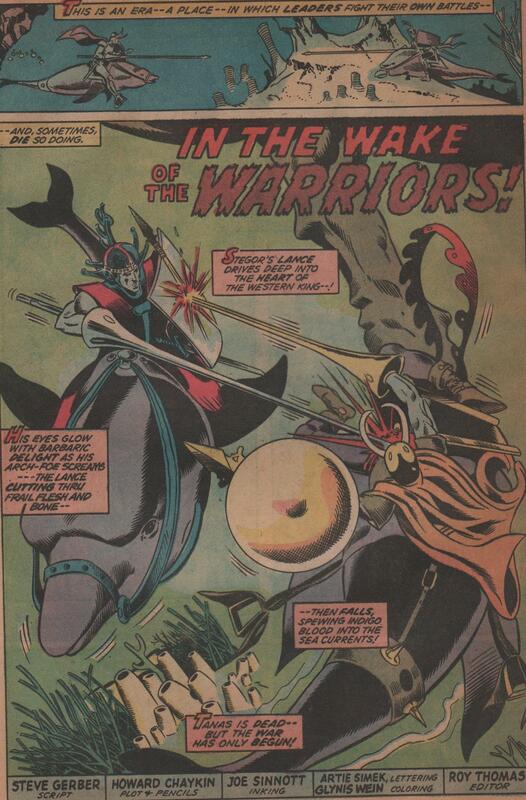 For now though, marvel at the work of Steve Englehart, Keith Giffen, Owen McCarron, Irv Watanabe, and others! You’ll see the quality of work this team did, and it will leave you wanting more! 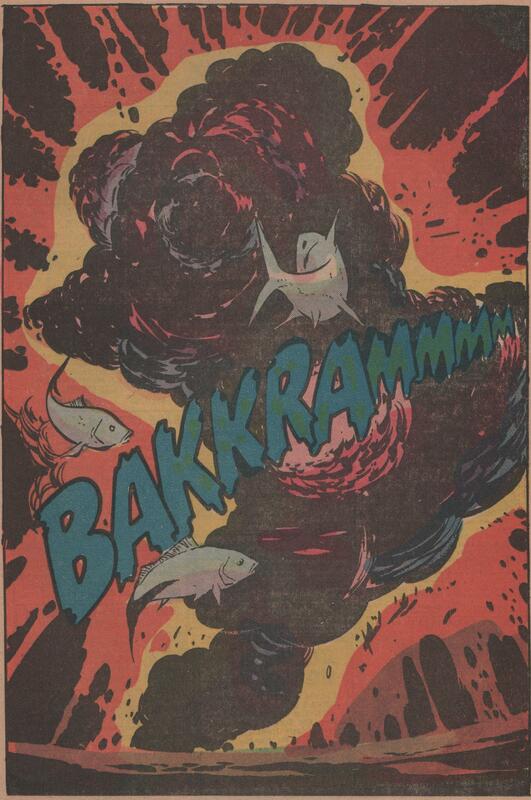 Some brilliant colors in this one as well, and we have Phil Rache to thank for that. 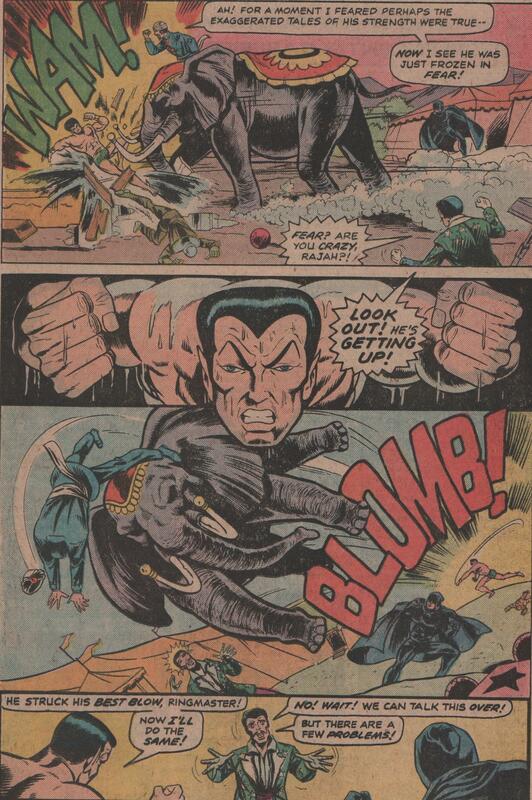 Don’t miss my favorite page, where Namor beats up an elephant! Enjoy! Imperius Rex! 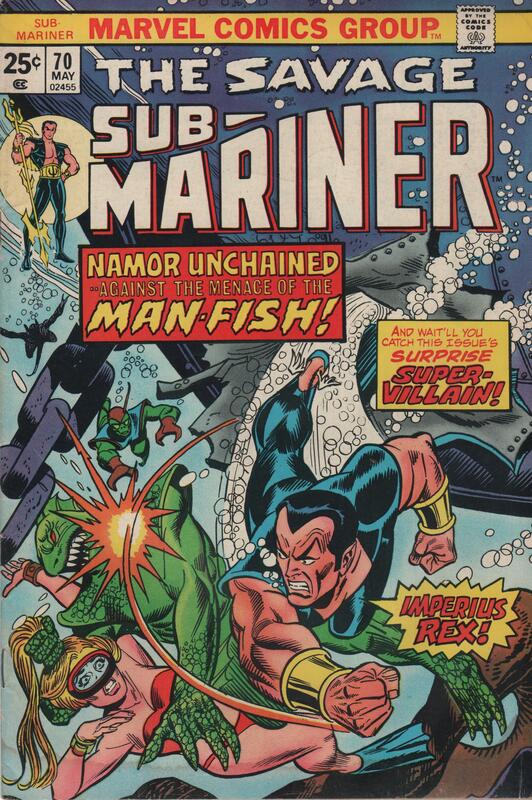 The Savage Sub-Mariner is punching Man-Fish in the face! 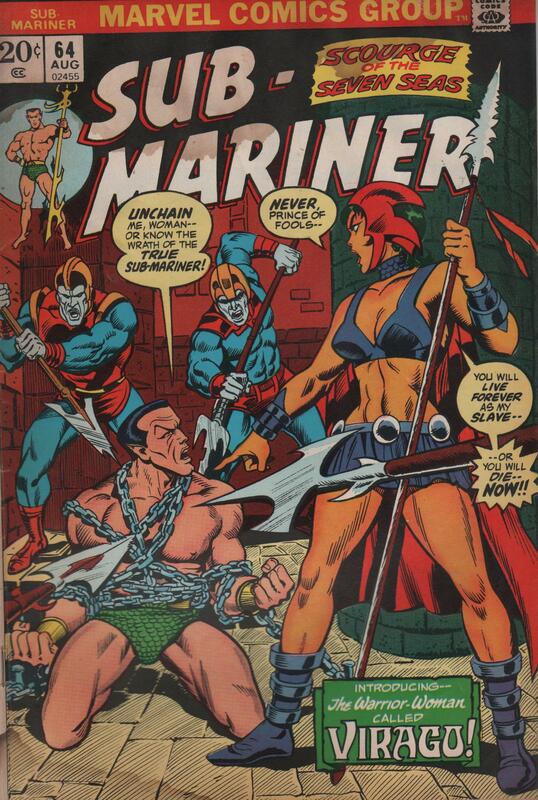 What a great cover by Mr. Gil Kane (RIP)! And to make matters worse, Man-Fish is pulling on some poor bikini-clad girl’s ponytail! Man, I miss the 1970’s. Everything nowadays is so grim and gritty, with no real fun to any of the stories. When Marvel was just beginning to scratch the surface of greatness back in the 1960’s, greats like Kirby, Romita, Heck, and Ditko, were paving incredible roads for later talents to follow. 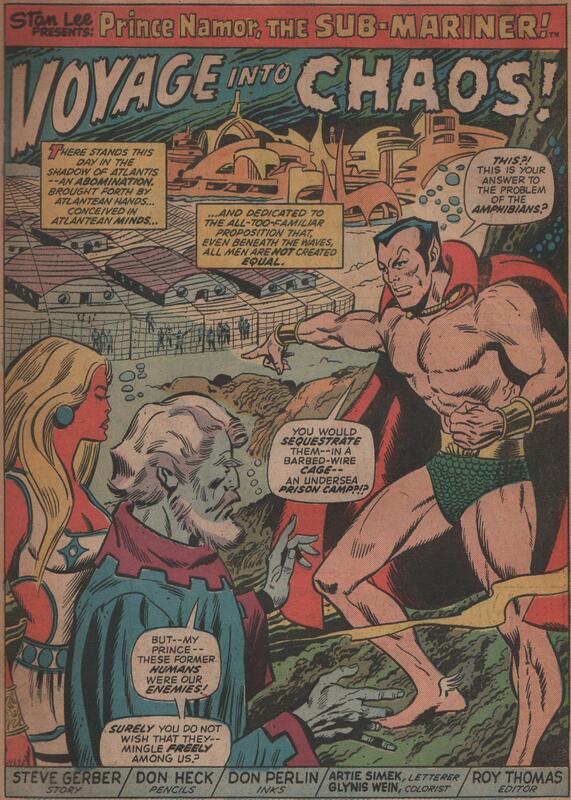 What did ensue was the Bronze Age of comics books, which gave us not only more relevant stories from a social angle, but also the weird and wonderful imaginations of a new list of incredibly gifted writers and artists that took what came before and built upon it substantially. 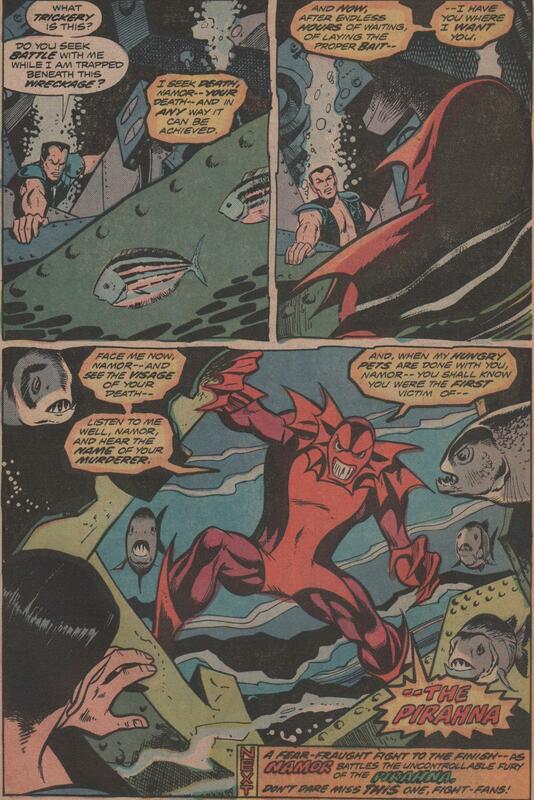 In this specific issue, we get a script from Marv Wolfman, pencils from George Tuska, inks by Vince Colletta, Colors by Stan Goldberg, and letters by John Costanza! 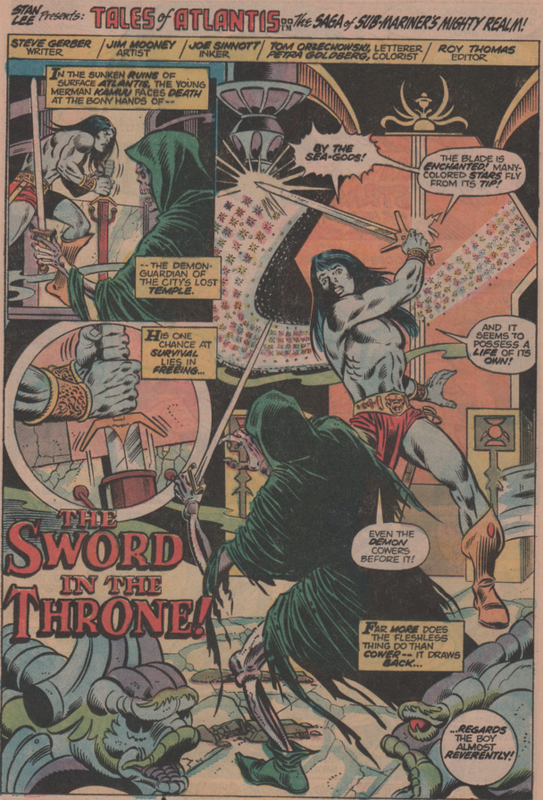 Don’t forget the cover by the incomparable Gil Kane and Frank Giacoia either! This book is a great example of the awesome comics coming out at the time. There would only be two more issues of Subby after this until his revival in the Thomas & Buckler series in 1988 (another good series). 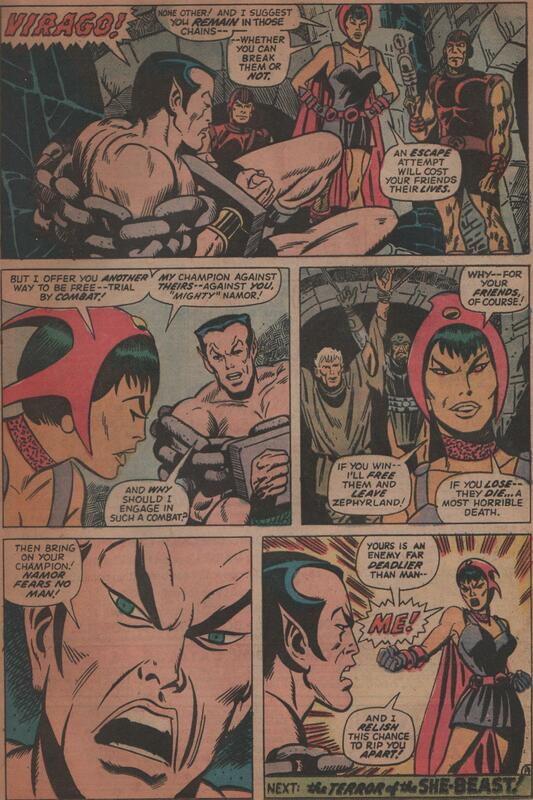 Subby was a mainstay in FF and the Avengers as well though for some time. 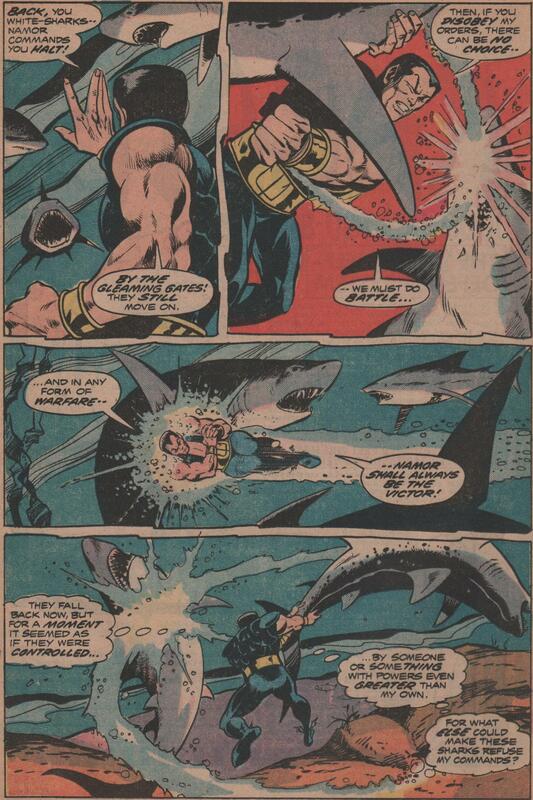 In closing, remember kids, when all else fails, if you’re being attacked by sharks, just punch them in the face! 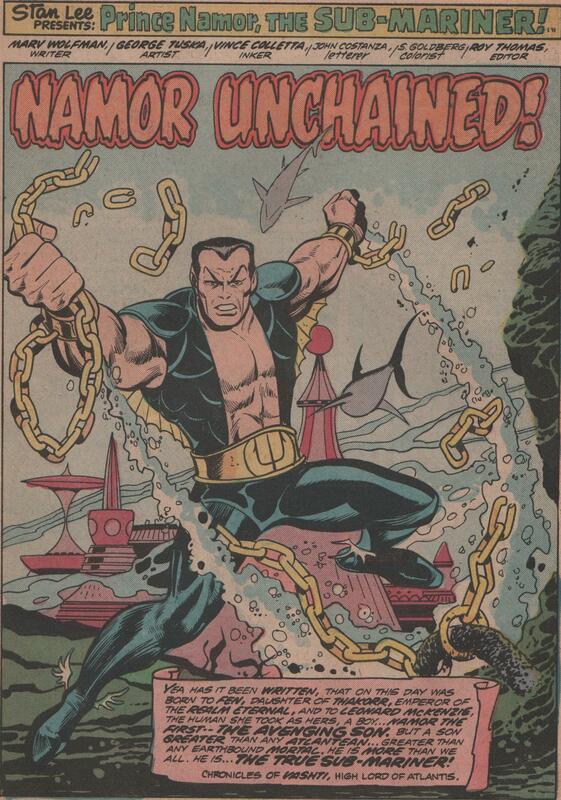 Prince Namor of Atlantis was never a character that was one of my favorites. Oh, I like the character more than I dislike him, but he just never impressed me unless he was part of a team (like the Avengers). I recently grabbed a couple of back issues of Subby, and really enjoyed them. 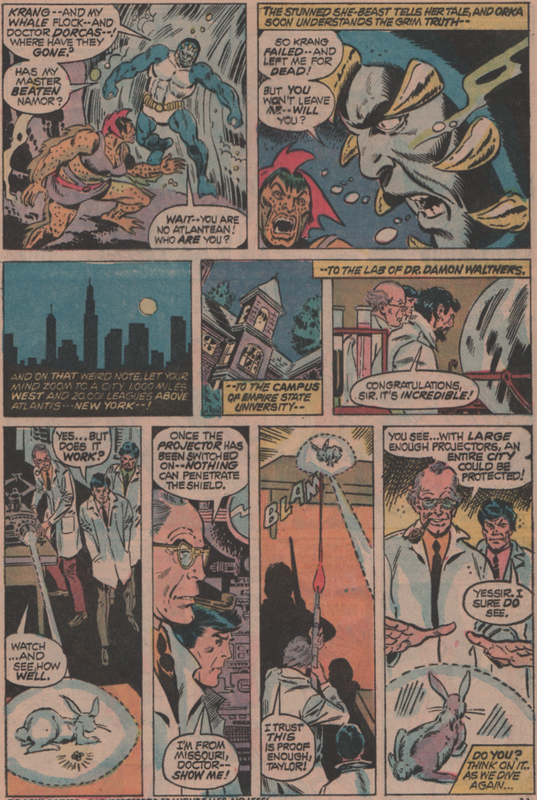 Now, granted, the writer is the awesome Steve Gerber (RIP), with art by Don Heck (RIP) (pencils), and Don Perlin (inks), so that really raised the level of the content in my opinion. 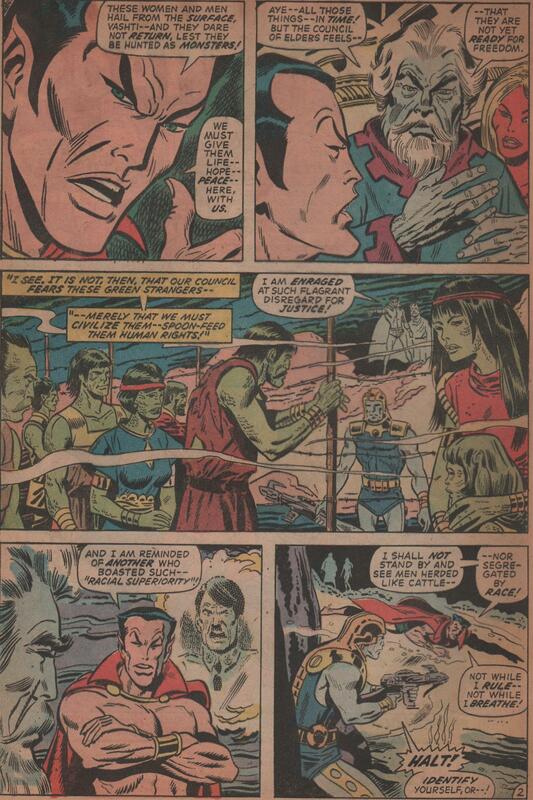 You also get perennial favorites Glynis Wein on colors, and Artie Simek providing letters (and Roy Thomas editing). Again, characters are great, but the creative force behind them is what really matters. 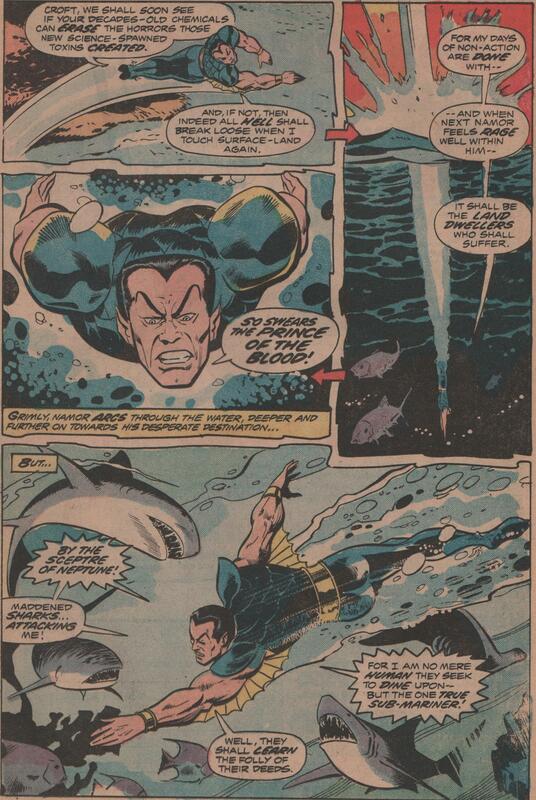 A story involving Subby fighting racial inequality (basically), is the plot, with undersea friends and foes galore. 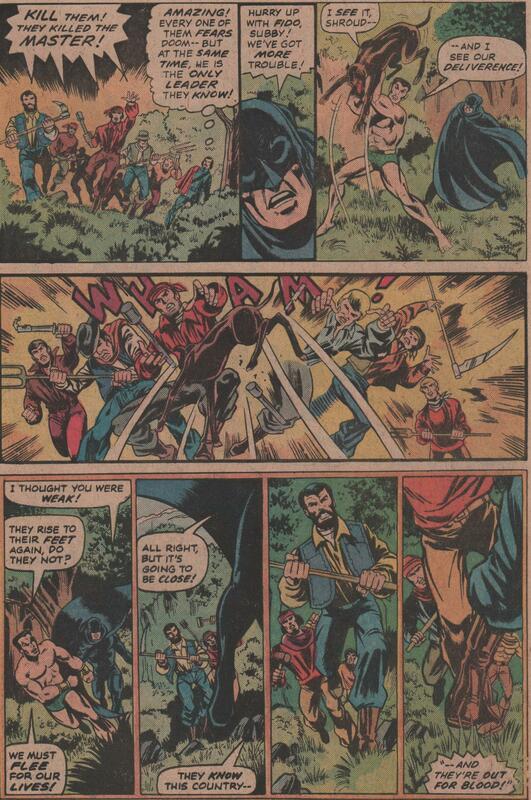 Heck and Perlin make a great team, and you’ll agree when you see the pages below. 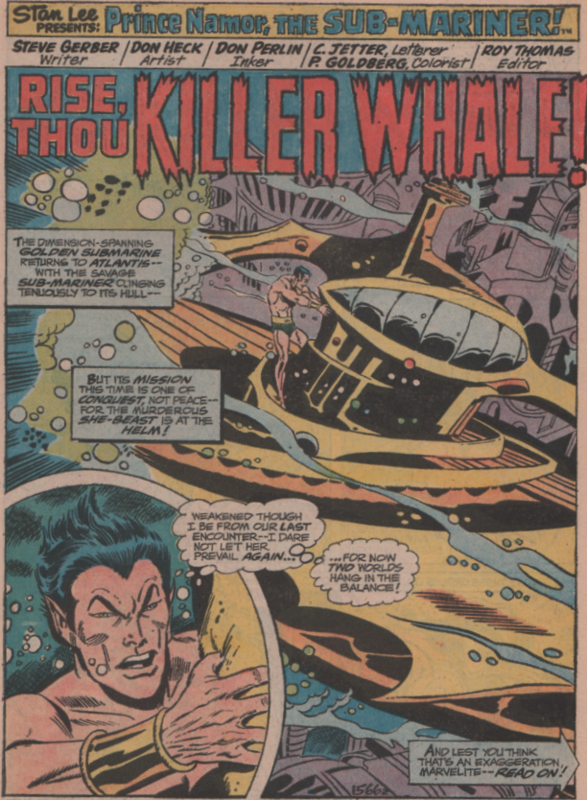 Namor is his royal, condescending self, while the ocean backgrounds look fabulous. 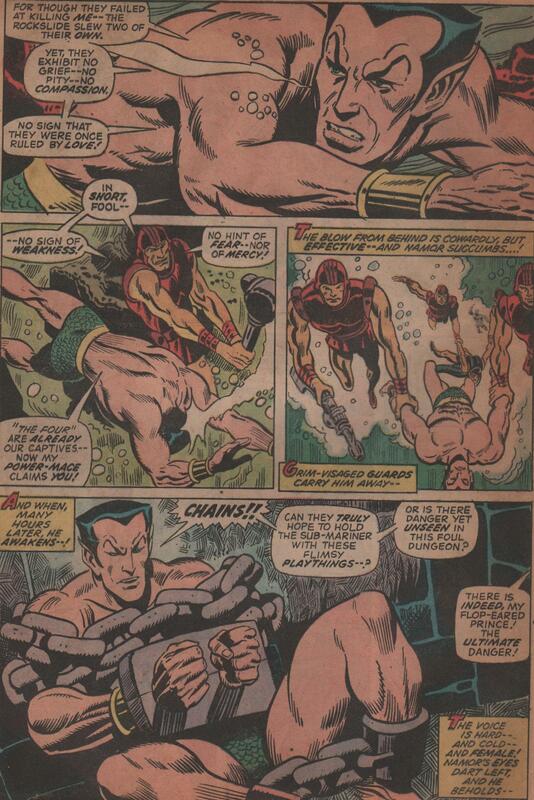 A quick cameo by Namorita, Namor in chains, and at the mercy of a WOMAN, nonetheless! 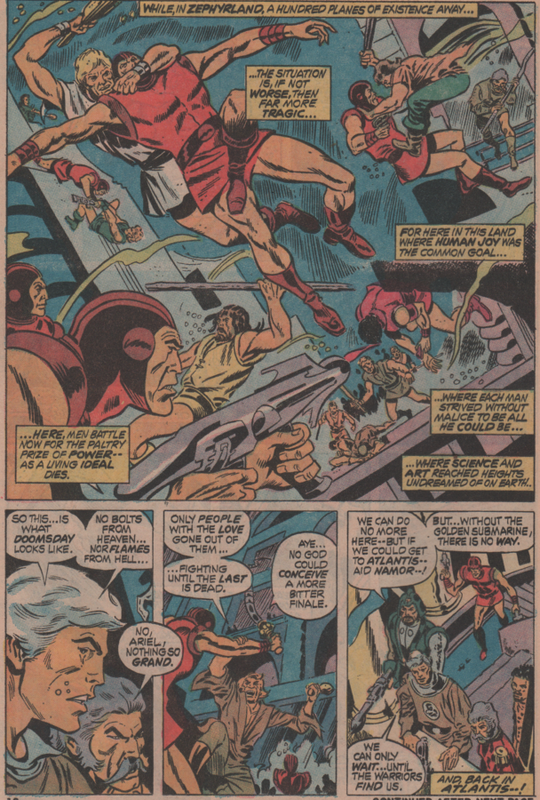 There is also a back-up story from Gerber featuring artwork by Howard Chaykin and Joe Sinnott! 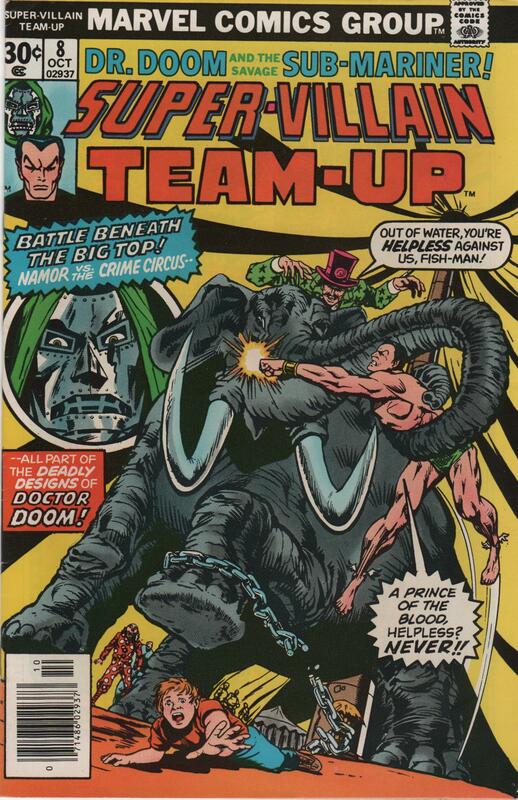 And what a fantastic cover by the team of Rich Buckler and Bill Everett (RIP)!